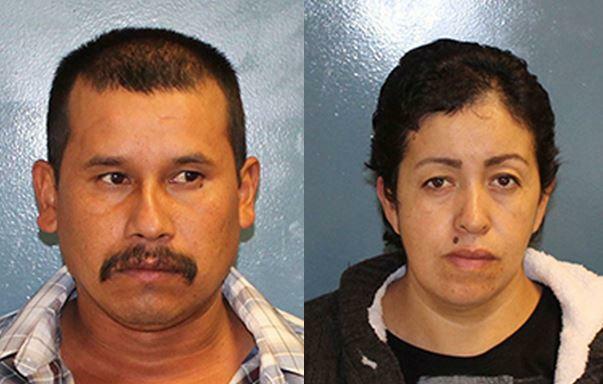 VISALIA, Calif. -- A husband and wife who married in Mexico in 2007 have been charged with murdering another woman who the man married in California so the man could get legal permission to stay in the U.S., authorities said Wednesday. Francisco Valdivia, 37, and Rosalina Lopez, 39, were arrested Tuesday in connection with the June 9 disappearance of Cecelia Bravo. The suspects lived in the small central California city of Visalia, the Tulare County Sheriff’s Office said. The body of Bravo has not been found but sheriff’s spokeswoman Teresa Douglass said authorities have evidence Valdivia and Lopez threatened Bravo and that detectives have “significant digital forensic evidence” she would not describe implicating the couple. Bravo was last seen at the Tachi Palace Casino in Lemoore, California, about a half hour drive from Visalia in California’s agricultural heartland. Boudreaux said the motive for the killing was linked to “the relationship of these three people,” but declined provide more specifics. “We’re comfortable and confident in our belief that (Bravo) was murdered,” Boudreaux said. Bravo’s car was set ablaze in an orchard and her four children have not heard from her since her disappearance. They are in protective custody, Douglass said. Boudreaux said they have been placed with close family members. Valdivia was already in custody when he was arrested in connection with Bravo’s death. He had been arrested on suspicion of cultivation of marijuana and jailed for lack of $1 million bail. Lopez was arrested Tuesday in the small town of Goshen near Visalia. Both remained jailed Wednesday with no bail, Douglass said.